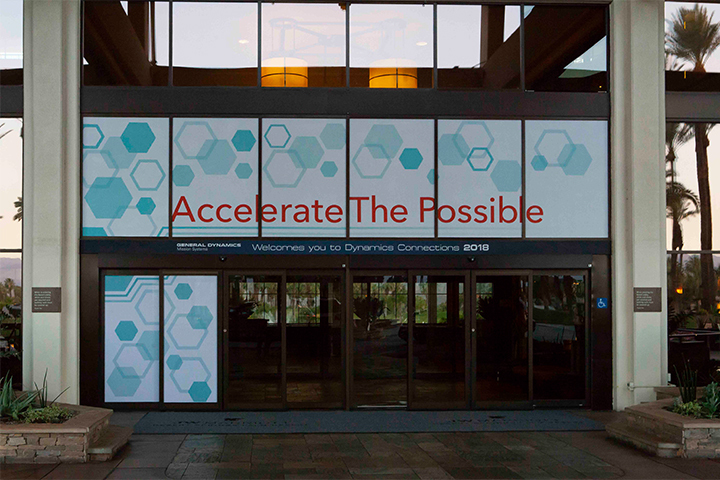 DC18 proved to be the place to Accelerate The Possible! Industry partners, U.S. Government agencies, academics institutions and other individuals from around the world gathered together in a 2 ½ days event in Palms Spring, CA to explore, learn and discover new ways to protect the digital domain. The Honorable Mary Bono welcomed over 800 attendees to Palm Springs and DC18. General Dynamics Mission Systems President Chris Marzilli reiterated our company’s commitment to our customers and helping them address the challenges they face. 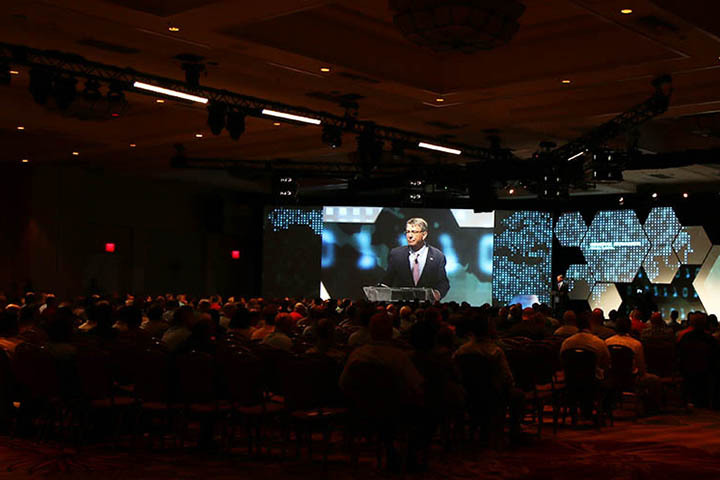 During the conference, former U.S. Secretary of Defense Ash Carter, best-selling author Steven Johnson and Mike Tweed-Kent, vice president and general manager of the Cyber and Electronic Warfare Systems line of business, captivated the audience on a breathtaking stage as they shared their thoughts and first-hand insights on the threats facing us today. General Dynamics Mission Systems reaffirmed its commitment to security, privacy and transparency to its customers and partners through all the five main solutions areas: Encryption, Secure Mobile, Unified Cyber Defense, Platform Security and Electronic Warfare. 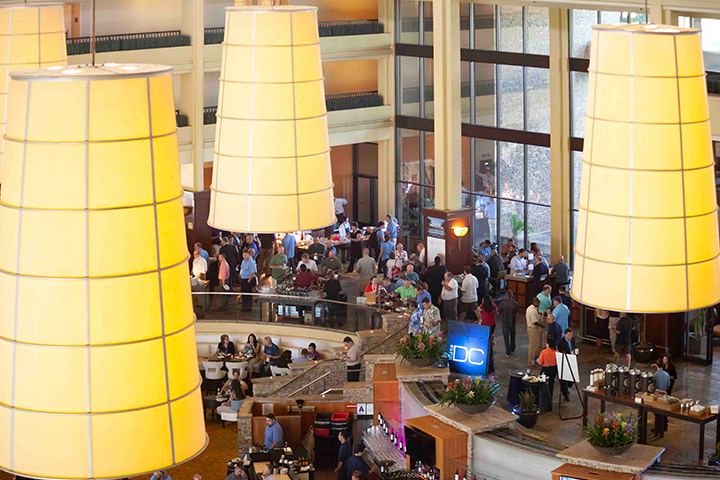 800+ attendees networked and shared industry information with key players in the field to combat today’s most critical cyber threads. 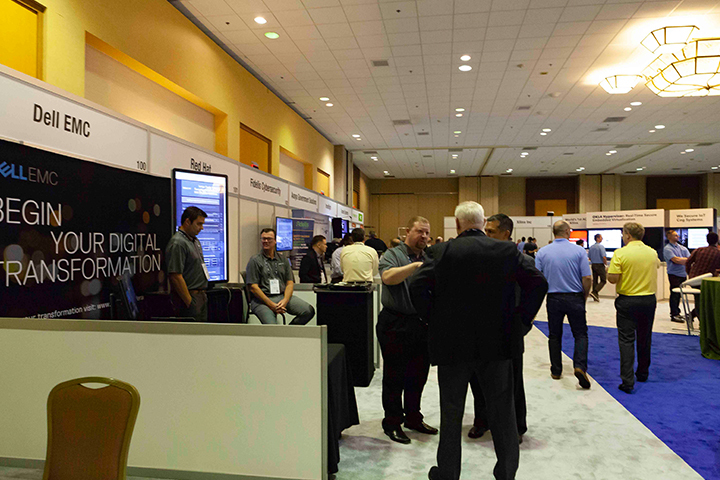 Over 25 exhibitors had the opportunity to showcase the next generation of security products and technology services to a specialized audience in The Hive. 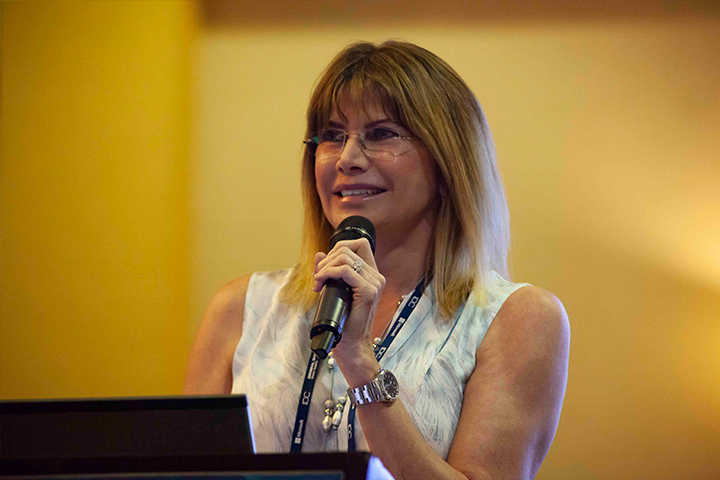 60+ sessions and in-depth product trainings were offered to all the attendees to elevate their technical skills, develop their knowledge and equip them with the latest cybersecurity methods and strategies.